This captivating home was designed and built by Forme Homes with style and functionality in mind. The long angled façade, complete with an array of dynamic windows and materials, offers an impressive street presence. 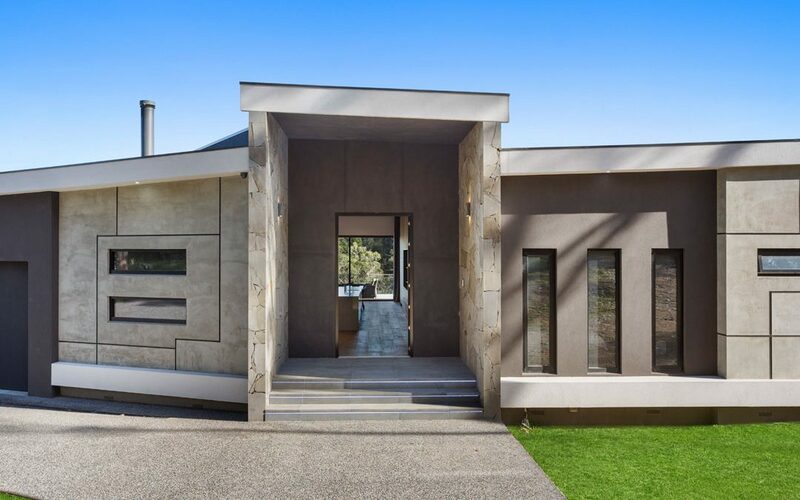 Complemented by neat landscaping and stone paving, the contemporary frontage is a sophisticated display of architectural brilliance. The open-plan kitchen, living and dining area captures the breathtaking views at the rear of the house. 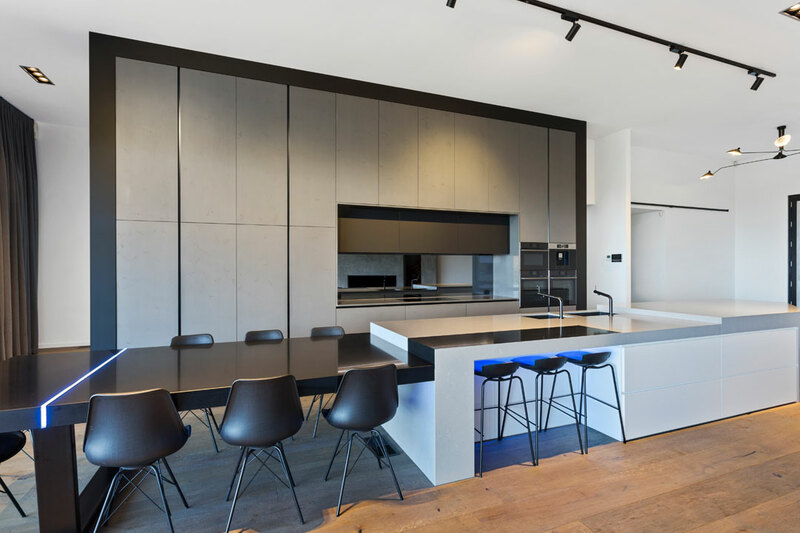 The twelve metre-wide, three-metre-high cavity sliding stacker doors open up the space and create a seamless flow between the indoor and outdoor entertaining areas. The elevated alfresco dining area, complete with its own kitchen, is the perfect place for the homeowners to socialise and relax while taking in the stunning scenery. Complementing the contemporary design of the home, the main bedroom and en suite share an open-plan layout. The fully-tiled en suite, complete with a freestanding bath and glass-panelled shower, is consistent with the modern aesthetic of the house. 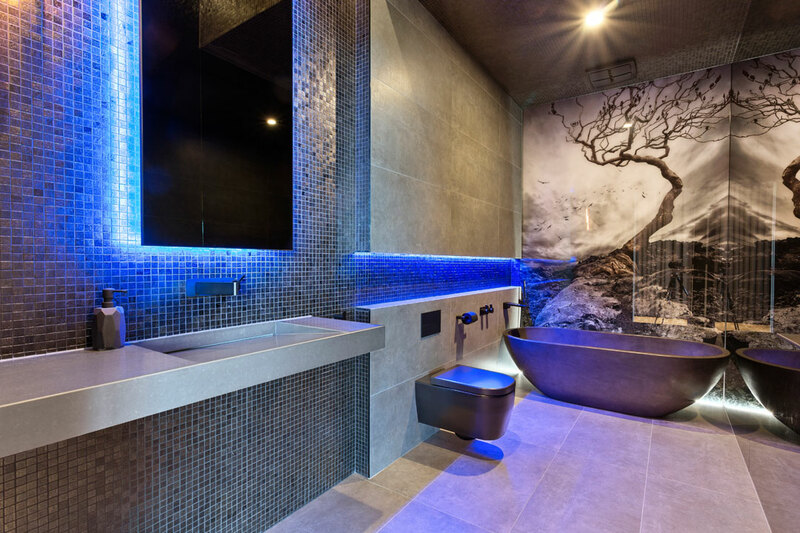 The family bathroom is of similar design, with a gorgeous feature glass mural and mosaic tiled ceiling. The home also features a theatre room, which is an ideal entertainment retreat for the homeowners to enjoy. With double-glazed windows used throughout the home, and two underground water tanks installed, the property has a six-star energy rating. Forme Homes specialises in custom-designed homes that are specific to the client and location. With more than 50 years’ experience, directors Malcolm Watson and Vance Carpenter have an unwavering commitment to delivering quality homes. The team at Forme Homes is passionate about providing the best service possible, and strive to understand clients’ visions and develop their ideas into homes. 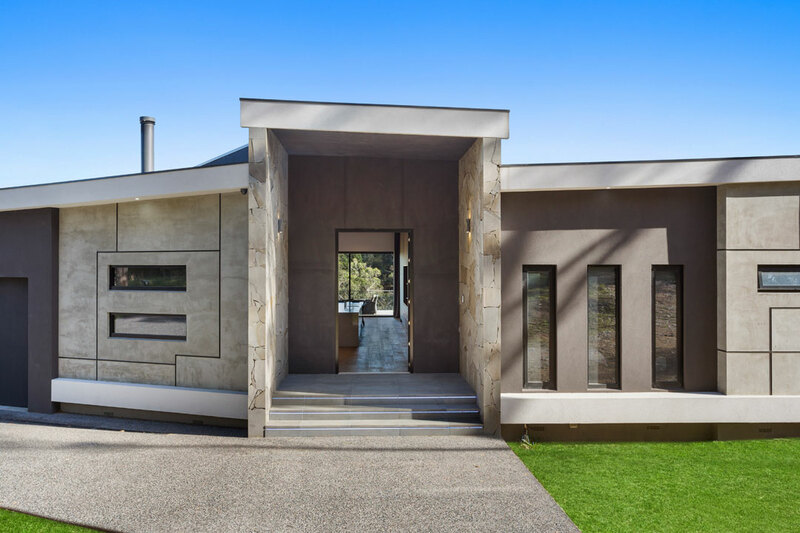 Servicing the Melbourne metropolitan area, as well as the Mornington Peninsula and south-eastern regions, Forme Homes offers versatility and flexibility. If you want to create a home that is reflective of your unique lifestyle, contact Forme Homes and see your dreams become a reality.